Dubai-based Emirates airlines said Wednesday the US has exempted it from a ban on laptops in airplane cabins. DUBAI, United Arab Emirates — Emirates and Turkish Airways said Wednesday they have also been exempted from a US ban on laptops in airplane cabins, joining Etihad in satisfying American security concerns that had cut into the long-haul carriers’ business. It remains unclear how the airlines addressed fears that the Islamic State or other militant groups might smuggle explosives in electronic devices. But in Turkey, authorities now use CT scanners to take cross-section images of passengers’ electronics just before they board airplanes heading to the United States. Both airlines alerted the Department of Homeland Security, which oversees airplane safety in the United States, that ‘‘they are ready to comply with the enhanced security measures,’’ said David Lapan, a Homeland Security spokesman in Washington. He declined to discuss specifics. Emirates’ hub at Dubai International Airport has grown into the world’s busiest for international traffic, in large part thanks to Emirates’ expansion. On Wednesday, Emirates said in a statement that it had worked to ‘‘implement heightened security measures and protocols’’ to satisfy American requirements. It did not elaborate, following a similar precedent set by Abu Dhabi-based Etihad, which American officials cleared Sunday. 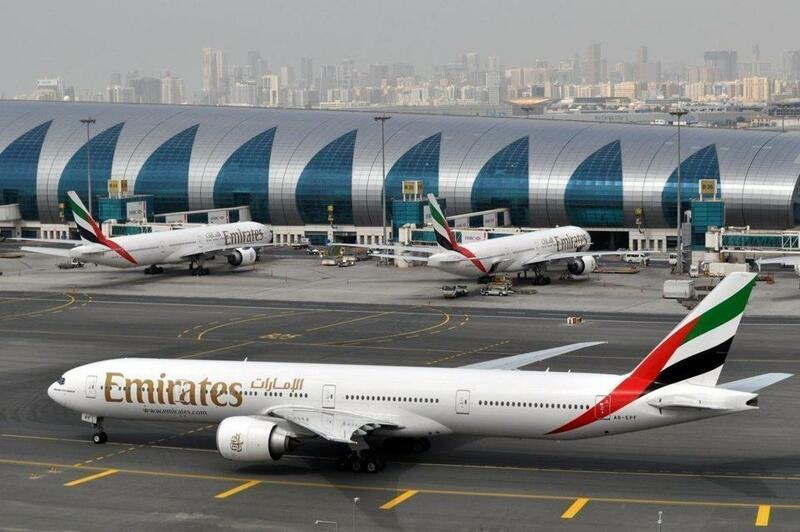 ‘‘We would like to express our gratitude to the US and local authorities for their support and thank our customers for their understanding and patience during the last few months when the ban was in place,’’ Emirates said. In Istanbul, Turkish Airlines tweeted that passengers aboard its US-bound flights should ‘‘fasten your seat belts and enjoy your own electronic devices.’’ A statement from the airline said it had taken over 81,000 electronic devices away from passengers to store them in specially protected baggage during the 102 days the ban was in place. The US laptop ban, first announced in March as a security measure, now applies to nonstop US-bound flights from seven international airports in Amman, Jordan; Kuwait City; Cairo; Jeddah and Riyadh, Saudi Arabia; Casablanca, Morocco; and Doha, Qatar. In May, President Trump shared highly classified intelligence with senior Russian officials visiting the White House about the Islamic State group wanting to use laptops to target aircraft. Qatar Airways, the last of the three major Gulf long-haul carriers on the list, declined to answer questions Wednesday about the ban. That airline already has been blocked from much of its neighbors’ airspace over an ongoing dispute with four Arab nations. ‘‘I think they arrived yesterday,’’ Sheikh Mohammed told a crowd at Chatham House. ‘‘This is an ongoing process and I think irrelevant to the entire’’ political crisis. There is a precedent for concern over laptops being used as bombs. Somalia’s Al Qaeda-linked al-Shabab said it planted a bomb inside a laptop-like device that exploded on a plane leaving Mogadishu in February 2016, killing only the bomber. However, the security concerns also come amid a wider dispute between Gulf airlines and American carriers, which accuse the Middle East airlines of flooding the market with flights while receiving billions of dollars of unfair government subsidies. The Gulf carriers all vigorously deny that. The laptop ban, coupled with the Trump administration’s travel ban on six predominantly Muslim countries, has hurt Middle Eastern airlines. Emirates, the region’s biggest, said it slashed 20 percent of its flights to America in the wake of the restrictions. The airline said Wednesday it now flies 103 flights a week to the United States.